Do fish die if they stop swimming? Sharks can die if they are unable to swim. This is possibly where the myth that a fish can die if it stops swimming came from. You see, sharks must swim to force water past their gills. They also use what is called “buccal pumping,” which allows them to use muscles in their throat to force water past their gills. However, not all sharks are capable of this technique, and will die when they stop swimming. Do fish die if they stop swimming? Your average fish can breathe perfectly fine, however, both in motion and at rest, so long as the water is oxygenated sufficiently. They will not die if they stop swimming. Simply being in oxygenated water is enough for fish to breathe and survive. In the wild, water is constantly being circulated, resulting in it being oxygenated naturally. In a bowl or tank, the water can quickly become stagnant and devoid of the precious oxygen that fish require. This is why, for fish in captivity, a water filter is a necessity. A good water filter will oxygenate the tank, help keep the tank clean, and create currents for the fish to follow. Really nice water filters allow you to control the current strength. This is ideal for fish which require a current which is particularly strong, or weak. When looking for the ideal water filter for your tank, consider the type of fish you intend to keep. Look up whether they have any special requirements or preferences when it comes to water currents. Then, find them fish companions which require the same. Let the water filter go for a while before you add any fish to the tank. This is part of creating a mature environment in your tank, and will help prevent fluctuations in chemistry and the like. In order to keep your fish healthy and to prolong their lifespan, you must provide them with their ideal tank conditions. These vary from fish to fish, and this must be taken into account when you are shopping for pet fish. 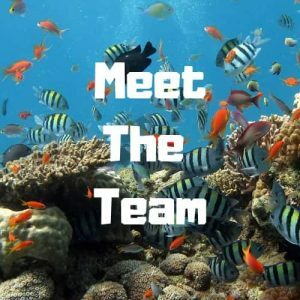 Create a fish community wherein all of the fish are compatible, both personality-wise, and as far as their requirements environmentally, too. 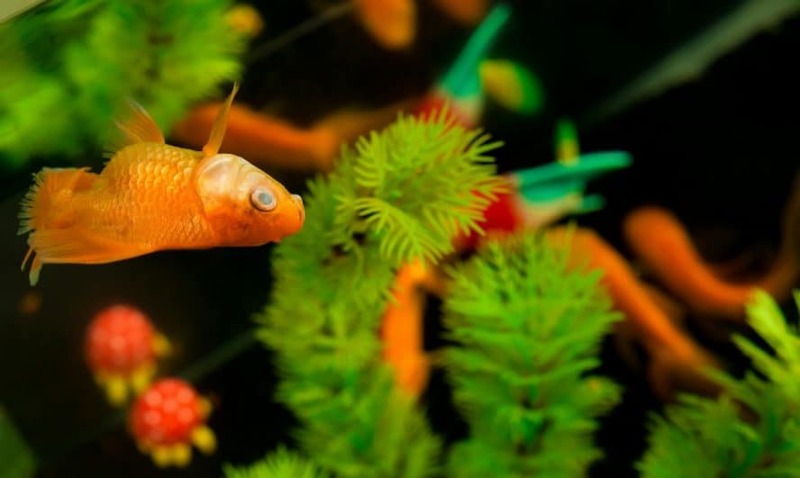 No matter the type of fish you have, however, a well-oxygenated tank is a must-have. Luckily there are plenty more effective ways to create a well-oxygenated fish tank. Plants are a fantastic way to oxygenate your fish tank, as they absorb CO2 and produce oxygen. Plants also make for gorgeous decor, as well as areas for your fish to hide and play. Here are a few common aquatic plants that can be purchased at most aquatic and pet store that will provide your fish with even more oxygen. The Anubias plant is quite leafy, and grows best affixed to driftwood or rocks. To fish, the Anubias plant creates a veritable forest of leaves. This plant can handle dim light, and the occasional stronger light, which will help it produce oxygen for your fish. Water Wisteria is an especially good addition when it comes to increasing the oxygen in a fish tank. This is because Water Wisteria does well in a wide range of conditions, provided that it takes root properly. This means that Water Wisteria will easily withstand plenty of light exposure. This is an important attribute, as the more light the plants in a tank receive, the more oxygen they will create. Little known fact: Plants kept in a dim or dark tank can create more CO2 than they use. For this reason, it is important to pick the plants in your tank carefully. Shade-loving plants are okay, but be sure to balance them out with plenty of plants that can handle frequent light exposure. Water Wisteria is not only great for this, it is also sought-after for its unique and beautiful appearance. Remember that all aquatic plants need feeding just like your fish do. We use API Plant Fertilizer which is available online. If you look after your plants they will look after your fish and provide them with plenty of oxygen. 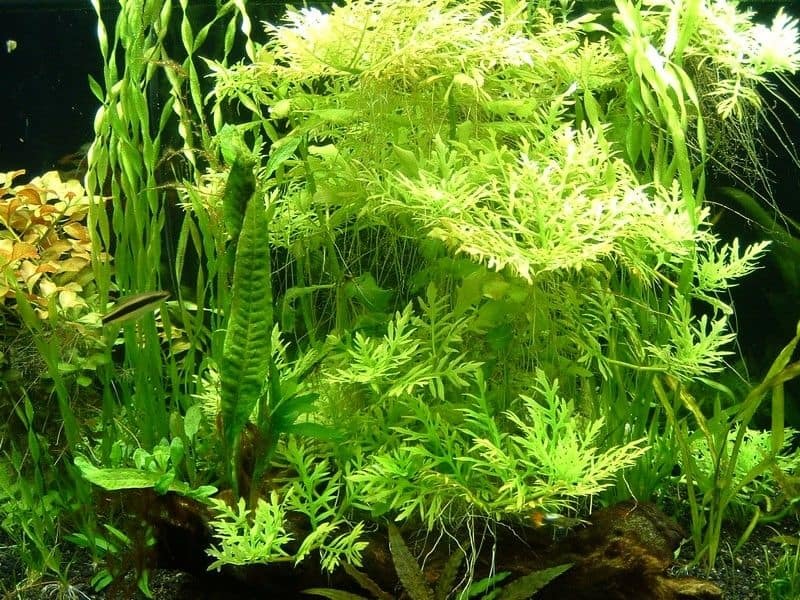 While Java Moss will not easily withstand bright light (few aquatic plants will), the plant can handle dimmed lighting to a great degree. Java moss has an almost furry appearance. It possesses many intricate fibers, which fish and shrimp alike love to hide within. Excessive waste in a tank can be dangerous for many reasons. Not only does it increase the risk for health issues (like fin rot) among your fish, it can also deplete the oxygen levels in the water. Fish waste releases nitrate and ammonia. These take up space in the water where oxygen could otherwise go. This is not to mention the various other issues such harmful chemicals in the water could cause. Learn how to safely increase oxygen in your aquarium here! As mentioned earlier, water movement is important to oxygenating a tank. 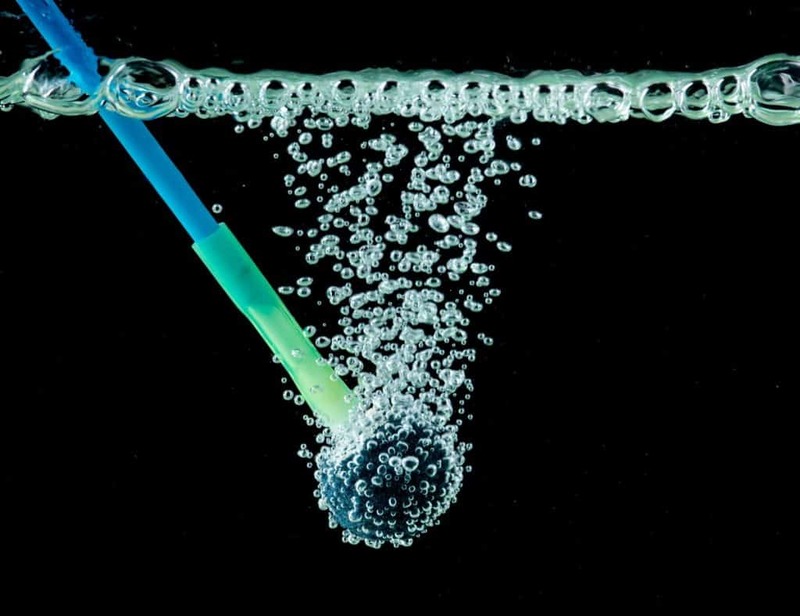 A water filter must not only put oxygen in the tank, but move the water enough that the oxygen distributes effectively. A water filter that is ineffective in this way can all too easily lead to a tank with insufficient oxygen levels, especially in areas which are not reached by the current, most commonly the bottom of the tank. Invest in a water filter that will keep the water fluctuating correctly. Conclusion: Do fish die if they stop swimming? I think we can safely say that fish do not die if they stop swimming. While fish may not die of suffocation if they stop swimming, suffocation is still a risk. It is vital to provide fish with a well-oxygenated tank. If you follow the suggestions above, your fish should be able to breathe easy.